Sweet heart experiment. 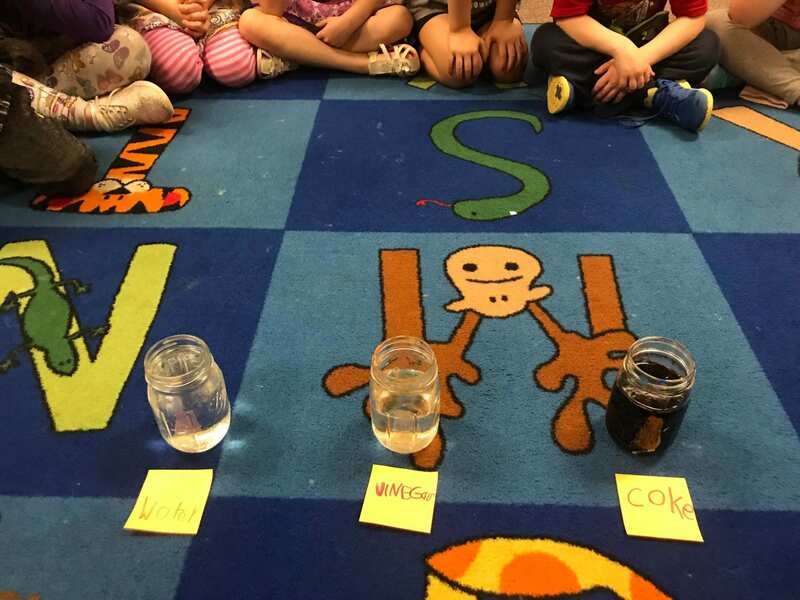 We found that they sink in water and vinegar. In the soda, we found that the hearts sunk straight to the bottom, then popped up to float.